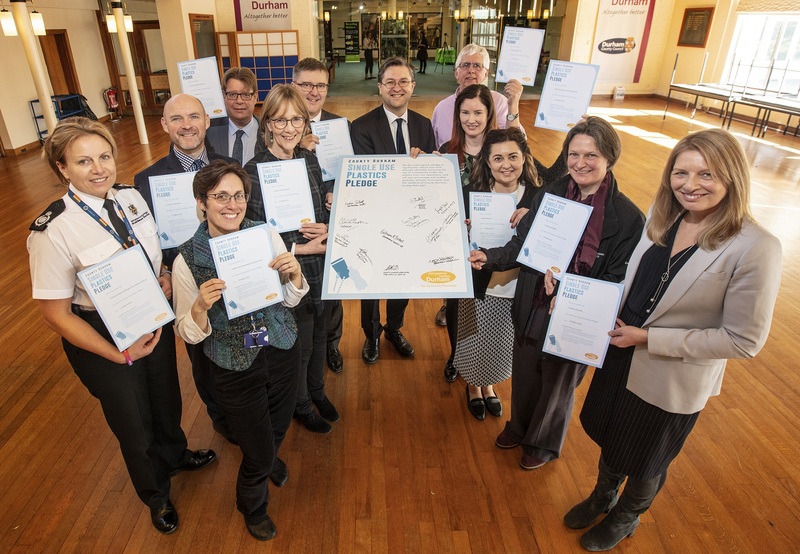 The region’s largest council and a number of its partners have signed a collective new pledge as part of an ongoing campaign to eradicate single use plastics. Signatories at the event viewed a video from Durham Heritage Coast Partnership showing a project in Finland, which was inspired by Durham’s work on the plastic free campaign. Another film showed the work that pupils at St Bede’s RC Primary School in Sacriston have done to reduce plastic in their school.